Mr Whitbread provided an excellent service and I would highly recommend him and his team. The project was carried out sensitively and professionally. Great Work! I was very happy with the work carried out by Mr Whitbread. 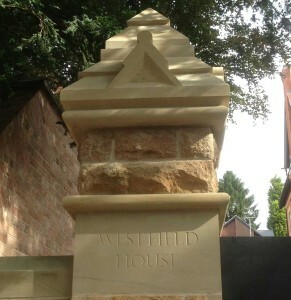 He is clearly a skilled and experienced stonemason who provided a quality service putting client satisfaction first. I would recommend. Outstanding work. 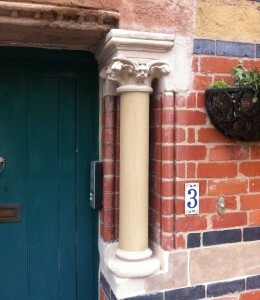 Mr Whitbread came to replace two columns on either side of my entrance door. The repair was done perfectly and on time. Also my house (Victorian & listed Grade 2) needed repair on its side and he did it with great respect of the architectural value of the house. Highly recommended. Mr Whitebread restored a supporting sandstone wall along our property boundary. The wall was cleaned and regrouted with real attention to detail, restoring it to its former glory. I would highly recommend. We were delighted with the magic Jim and Brett performed restoring our stone front step; we’d been told by others that a restoration would be impossible. 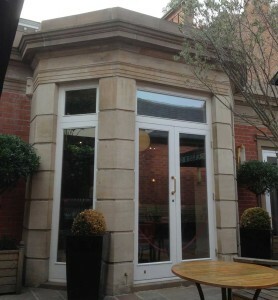 It was a testament to their obvious expertise that this job appeared simple (to them! ), and was completed really quickly. We are amazed with the result and very pleasantly surprised with the cost of the work. I recommend them wholeheartedly. Copyright © 2019 Whitbread Restoration.